The framework for remarkable product and service experiences. The Experience Thinking (XT) framework is founded on Human Centered Design (HCD) principles and practises. The notion that an Experience in itself is of customer & user value: not only the aggregated underlying services, technology, content and products. 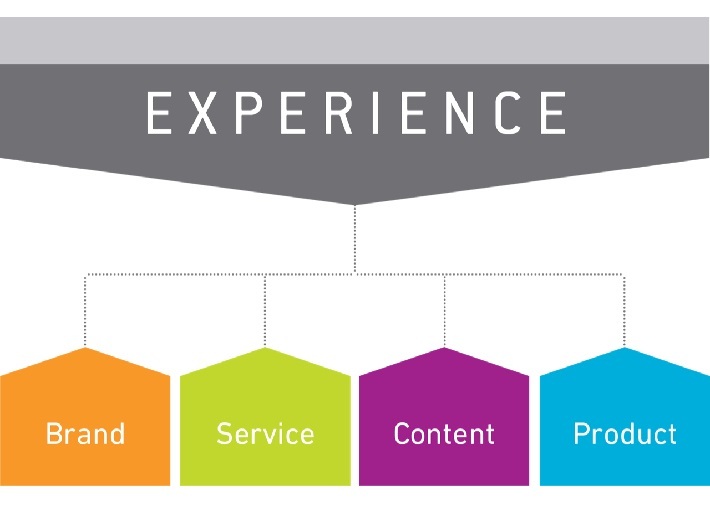 We call these connected experiences 'Experience Points' and 'Experience Connectors', linking each point to the next in an experience lifecycle. The Experience Thinking™ framework provides the blueprint for your organisations' Experience creation strategy and enables connected product & service experience innovations to be truly remarkable. An Experience Points and Experience Connectors include these basic elements: Product, Software, Event and Service. All of which usually happen within a Physical Environment. So when Akendi talks about creation of an End-to-End experience lifecycle any and all of these elements are considered and designed. Any of these experiences are created within an environment that includes four aspects that directly impact the experience success. They are: Brand, Service, Content and Product. We call them the Experience Quadrants™. The brand experience quadrant answers two basic questions: why would the customer buy (= value proposition) and what makes the business sustain? (= brand promise). For a non-profit organisation or government agency these questions would be: why does it matter? (= vision), what do I do to meet my mandate? (= mission), how do I do this (=strategy). The research techniques that are used in this quadrant usually have a Market research orientation: surveys, focus groups, omnibus, and/or panels. Next up is the content experience quandrant. Included in Content experience is production, governance, editorial guidelines, search engine optimization, retention and metadata of information in products & services. With more and more information around us that is either provided by an organisation or created by users, it becomes increasingly important to have specific governance, strategies and processes around how to work with the information & content. This thinking applies both from an organisational perspective as from an general public, customer and user perspective. The service experience quadrant is experience design for users of products that connect each touchpoint customers/clients have with the organisation. To understand, design for and optimize this service journey of the Experience Points and Experience Connectors™ is absolutely critical for successful and sustainable customer and user experiences. This quadrant is about fitting the product experience to human expectations and capabilities: whether this is a user or customer experience. It is the domain of interaction design, usability testing, and user persona research. The techniques presented in this quadrant are applied to involve the user throughout the design process; the user research starting with in-depth interviews, user persona research, task, journey & usage scenario analysis. The information is then used to sketch and design early concepts, interaction designs and wireframes in order to ultimately create the user experience. For organisations that want to create succesful - connected - Experience Points, an effective development process will include the appropriate attention to the above XT quadrants. Akendi is an Experience Thinking™ innovation firm in digital user experience. We are the experience thinking framework agency consulting for companies and organizations. Work in Canada, UK.